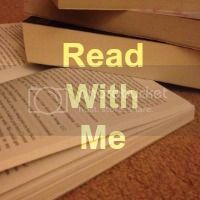 Hey there lovely readers and welcome to this weeks Read With Me. A big thank you first to everyone who joined in last week. And a thank you to those who also continue to share the linky via social media, it is very much appreciated. I can't believe we are already nearing the end of January! Today is actually one of my daughters birthdays, she is now eight. Like her mum, she requested a couple of books as presents but if I'm honest they aren't my cup of tea. She wanted the books written by Zoella, now I can't really judge because I haven't read them but they definitely don't appeal to me. I fear I'm showing my age. As I said I would last week, I made a start on the Mazerunner series. I had a dilemma there as I wasn't sure whether to read them in the order they were written or start with the prequel that was actually written last. In the end I went for the first option, didn'r eant anything to be revealed too early. Now my favourite post last week came from Writing Bubble with their list of five great books they read in 2015, I agree whole heartedly with The Hunger Games, a favourite of mine, see what you think. Onto this weeks link up. If you are new to Read With Me, take a look here at what it's all about. Regulars get linking (max of 2 please), commenting and hopefully displaying my badge. That's so good that you're reading the Maze Runner series! I read the first one about two years ago and I only recently received the second one in the series. I really need to read it soon because I refuse to see the second movie until I finish the book. I hope to take part in the link ups more often. I still haven't read Maze Runner or Hunger Games and I still haven't watched the films either! I bought my nephew the Maze Runner books but never read them myself - I'm now wishing I'd had a sneaky read before I gave them to him! Happy birthday to your daughter! I remember when BP turned 8 - it felt like such a big number, and now he's 11! My youngest is almost 7 and it feels like he's so grown up already - how do they grow so fast? !